Heat butter in a heavy skillet, over low heat. Add in sugar and evaporated milk and continue to stir over medium heat, until the mixture comes to a boil. Continue boiling for another 4-5 minutes. Remove from heat and add chocolate chips. Stir until it melts. Stir in marshmallow creme, pecans, and vanilla, until they blend well. Pour into a greased pan, garnish with pecan halves (optional) and place in the rack to cool. 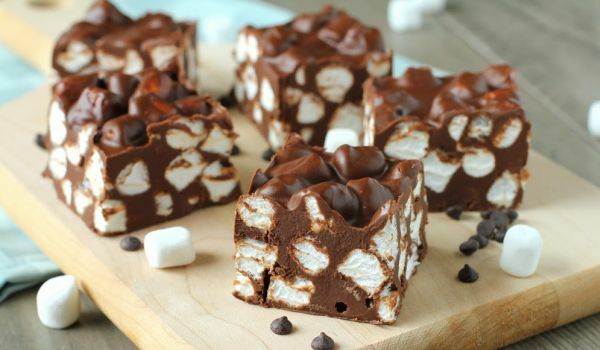 Refrigerate until the fudge is cool enough to be cut into squares.